Last weekend the Anaheim Regional Championship took place and Sun and Moon had a solid impact on the format. While some of the favorites from the set (looking at you Umbreon GX) didn’t immediately live up to their hype, Sun and Moon cards found their way into most of the decks. While the Top 8 was all existing archetypes, cards like Professor Kukui, Lillie, Oranguru, Tauros GX, and Espeon GX were used to modify these decks. I heard from people at the tournament that it seemed like almost everyone was playing a copy of Tauros GX in their decks. There were only three completely new archetypes to pop up in Day 2, with Drew Kennett finishing 14th with Solgaleo GX/Lurantis GX, John Kettler finishing 15th with Decidueye GX/Vileplume AOR, and Edgar Garcia finishing 17th with Lapras GX’s Water Toolbox. The set didn’t completely upend the existing meta game, as high tier decks like Turbo Darkrai, Vespiquen, and M Mewtwo EX are all at very high power levels, but it did shift it and as people get more used to building with evolutions again it could shift it more. Moving forward, we are a less than a week away from the Collinsville Regional Championship which will be played in the Expanded format. Will Sun and Moon be able to make a similar impact on the Expanded format, or will it do little to change the Expanded meta game? In this article I’m going to go over the Expanded meta game as I see it, go over an updated Vespiquen/Flareon list, take a look at how players are talking about using Sun and Moon cards in Expanded, take a look at Solgaleo GX/Bronzong, and then finish up comparing Seismitoad EX/Decidueye GX and Seismitoad EX/Crobat. Before we get into how Sun and Moon will fit into the Expanded meta game we should start by looking at the meta game as it exists headed into the format. Here is how I would rank the existing decks in terms of popularity based on past tournaments, and what hype I’ve heard as we head into Collinsville. The Expanded meta game is incredibly diverse with 19 decks that I think players have to seriously consider having to face off against before we even take into account Sun and Moon cards. In a 9 round tournament, I would expect most players to have 4 rounds against the Tier 1 decks, 3 rounds against the Tier 2 decks, and 2 rounds against the Tier 3-4 decks, with most players completely avoiding the Tier 4 decks. One of the most hyped decks headed into the tournament is Vespiquen/Flareon. I’m not sure what to make about the deck’s sudden resurgence in popularity as the deck has been around for awhile and it really hasn’t put up stellar results this season. I think part of its resurgent popularity is that Vespiquen is hotter than ever in the Standard format, so people are looking to translate that Standard success for the deck into the Expanded format after being reminded how good Vespiquen can be. I’m also not sure what to make out of players projecting so hard ahead of the tournament of Vespiquen/Flareon being a potential play for the tournament in social media and other outlets. Generally with a true sleeper deck you want people to keep sleeping on the deck, not putting it into the public consciousness ahead of time so they wake up to it before the tournament. With how much the deck has been projected as being a play for Collinsville, I wouldn’t be shocked if players who wouldn’t normally play Karen to fit it into their deck to counter what has become a hyped deck. Vespiquen/Flareon has a much harder time recovering from it than Night March does, and Night March hasn’t exactly set the world on fire itself since Karen came out, failing to reach the Top 16 in Philadelphia and failing to make Day 2 at all in San Jose. As one of last holdouts on Vespiquen/Flareon before its sudden re-emergence, I don’t quite get the new found popularity, and am skeptical of the hype being true hype. I feel like the deck cracks under the immense pressure put on by the hyper consistent lists and disruption levels of the Expanded format. After seeing diminishing returns with the deck, I’ve decided it’s best to move onto something else myself. Anyhow, here is the list I had built when I left off my testing for Vespiquen/Flareon. I think moving forward, the Special Charge engine is superior to the former Fire Energy/Blacksmith engine. By making the move to Special Charge you actually gain two additional slots to use for other cards in the deck, which I’ve used to include a Teammates to increase consistency and a Parallel City to give me the option to aggressively play down Jirachi EX and Shaymin EX and then discard them. The move to Special Charge does significantly weaken your matchups against Giratina EX and Aegislash EX. These can be teched against with Pokemon Ranger and Hex Maniac, but I don’t think they’re worth teching for as they’re a very minor part of the Expanded meta game, and you’re more likely to not play against either in a tournament than you are to play against them. Choosing to tech against cards like these would take away from the power boost you can otherwise give the deck if you ignore them. It’s hard to really give a matchup breakdown for the deck any more. Both Yveltal EX/Maxie’s and Seismitoad EX/Decidueye GX should be overtly favorable matchups, but it’s pretty murky after that. Decks like M Rayquaza EX and M Gardevoir EX are typically favorable matchups, but become very tough to beat if they do play Karen. The Trevenant matchup is certainly improved with Giratina Promo out now, but there is still a lot of variance involved in the matchup and it will be very easy to lose to it if they win the opening coin flip. Lock decks like Sableye/Garbodor and Accelgor/Wobbuffet are typically very poor matchups. I’ve also really struggled against Turbo Darkrai EX decks as of late. I think lists for that deck have gotten so good that they setup turn 1 almost every time, and it’s difficult for Vespiquen to respond to a deck that takes a KO every turn of the game from turn 1 on. Any little bit of inconsistency you show trying to keep up with that aggression typically costs you the game. The deck certainly still has a strong basic power level, but there are a lot of inherent flaws with the deck against the format right now that I’m not sure if it can get over. If enough people play it, it has the strength for some decent performances as some players playing it would most likely hit the right string of matchups, but I think that right now there are so many different things that could go wrong for the deck at a tournament that I don’t think it’s a serious threat to win the tournament. Starting with the GX Pokemon, we can instantly cross Incineroar GX and Primarina GX out of consideration as the cards aren’t really good in any format, especially ones with as many broken concepts as the Expanded format is. 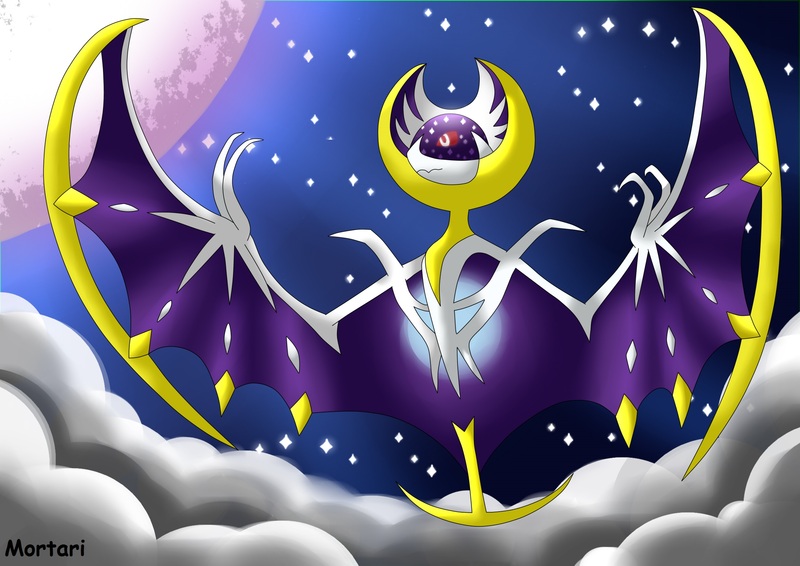 Lunala GX also seems completely unviable in the Expanded format. The Dark type has pretty much defined the Expanded format and a slow Stage 2 Pokemon weak to Dark is going to have a very hard time finding relevance in a format where Yveltal EX and Darkrai EX are constantly finding success. Umbreon GX also seems like it has no place in Expanded. Darkrai EX from Dark Explorers has the same core attack, Night Spear, paired with a very good Ability on a Basic Pokemon. Why play a Stage 1 when you can play a Basic and attach a Fighting Fury Belt to it and have more HP? Outside of these cards, every other GX doesn’t seem like they’re outright useless in Expanded format, although many probably aren’t good enough to consider playing over other decks. I wouldn’t call cards like Lapras GX, Espeon GX, and Lurantis GX unplayable in Expanded, but I don’t see any obviously good uses for them in the format right now. Some people might try Lurantis GX with Genesect EX from Plasma Blast, but I think Genesect EX got power creeped out of viability awhile ago in Expanded. In this section I want to take a look at some of the cards that have some level of buzz surrounding them for the Expanded format and how players may choose to use them. Back at Collinsville Regional Championship last season, Ross Cawthon brought a rogue Stoutland BCR/Accelgor DEX deck to the tournament. Stoutland’s Sentinel Ability says that your opponent can’t play a Supporter card when Stoutland is active. When a player is locked out of Supporter cards they’re going to dead draw so you can win easy games if you get this lock going. The deck didn’t quite pan out though. The deck was likely inconsistent as a result of having to play a Stage 2. With the addition of a new Herdier into your Pokemon line, you would have the ability to get back search cards or Rare Candy when you evolve into Herdier, which could help make the deck more consistent and give it new life. Energy denial strategies are a prominent feature of the Expanded format, with Trevenant BREAK and Sableye/Garbodor being the two most popular decks that rely on removing an opponent’s Energy to win. As of now, the only way to go after a players Energy is if they play it down onto the field, which has caused players playing against these decks to hold their Energy in hand until an optimal time to attach it. Team Skull Grunt can be added to these decks to prevent that, being able to discard two Energy cards out of the opponent’s hand. Collinsville will be the first Expanded Regional Championship in which Trevenant BREAK, Greninja BREAK, and Carbink BREAK decks will have to deal with the new Giratina promo which shuts off the Ability of BREAK Pokemon. As these have been some of the most successful archetypes in Expanded, especially Trevenant BREAK, it is likely that a significant portion of the playing field decides to play a copy of Giratina promo in their deck to help give them a better matchup against these decks. This could cause some of these players to taking counter measures to counter the counter. Silent Lab is the most simplistic option to doing this, but that can be countered itself by a player playing down a counter Stadium. The only way your opponent could turn back on their Giratina’s Ability against Alolan Muk is to knock it out. I don’t think the 1-1 Alolan Muk tech will be a great idea for Trevenant decks to counter Giratina. It has a fat retreat cost itself, but more importantly, its pre-evolution, Grimer, has a three retreat cost, making it very difficult to get into a Phantump for the turn 1 Item Lock if you were to start it. Jonathan Crespo’s Philadelphia Regional winning list didn’t even play any Float Stone, so including Alolan Muk would be quite a disruption to that style of build. At the end of the day, I think most Trevenant players won’t even bother teching for Giratina and just try to get the turn 1 Item lock. if they Item Lock, then the onus is on their opponent to draw into it, as they won’t be able to search for it as they will be Item locked. Those that do tech for Giratina will probably play Silent Lab as it’s much simpler to incorporate into the deck than Alolan Muk is. Tauros GX was incorporated into a lot of the decks at Anaheim Regional Championship and it has similar potential to be teched into a lot of decks in the Expanded format as lots of these decks play either Energy Acceleration or Double Colorless Energy. The card won’t nearly be as strong in Expanded as it is in Standard. Gallade sees quite a bit of play in Expanded and it easily can knock out a Tauros GX. There’s also more decks in Expanded that can easily OHKO a Tauros GX with zero Energy on it, such as Vespiquen/Flareon, Rainbow Road, and Night March. Having cards like Xerosic and Tool Scrapper to remove Fighting Fury Belt makes it easier for Tauros to be knocked out. It will probably see the most success as a soft counter to Seismitoad EX decks. Seismitoad depends on incremental damage to knock opposing Pokemon out, which will lead to Tauros GX being able to deal massive amounts of damage back. Seismitoad doesn’t see that much play in Expanded any more, so these situations will be fairly uncommon, although it does seem like Toad/Bats is rising in popularity as of late. Many players will be looking to use Oranguru as a partner in Maxie’s Gallade decks to instantly be able to grab cards off of Premonition when you have a hand size of less than three. I am not sure exactly how it fits in most decks, but at least in my testing with Yveltal/Maxie’s so far the card doesn’t have too much of an impact. It could potentially also see play as a generic draw/N protection card in a variety of decks, however with so many different cards available in the Expanded card pool I think players will probably not find room for Oranguru in most of their decks. This has been one of my favorite decks to play around with in Expanded since the release of Sun and Moon. The strategy is very straight forward, evolve into some Solgaleo GX and Bronzong’s and take OHKO’s with Sunsteel Strike every turn once you’re setup. You’re able to instantly replenish your Energy with Metal Links, and you have free access to move Solgaleo GX’s from the bench where they can be accelerated back to the active position. The list for this deck is very tight as you’re playing a thick Stage 2 line along with a full Stage 1 line. I think playing a full Bronzong line is important as getting three Bronzong onto the field gives you an N proof field presence in the game. One of the strengths of this deck is once setup, it doesn’t really matter what you have in hand as your deck functions entirely off the field. As strong as this deck is in a vacuum, in the actual Expanded format it is ripe with flaws that can be exploited. Archeops’ evolution locking will completely deny you the ability to setup. When Archeops are in play, Stage 2’s are going to be unplayable. Any type of item lock will make it difficult to get setup as your Rare Candy gets shutoff. Any form of Ability lock is also problematic as the deck runs entirely off of Abilities, and with Garbodor, Wobbuffet, Hex Maniac, and Greninja all present in the format, there’s plenty of Ability locking to go around. Solgaleo’s problems in Expanded kind of sums up the format, it’s a format of lock. That is, it’s a format of preventing your opponent’s deck’s from being able to do what it is intended to do. To be a successful deck in Expanded you need to minimize your weakness to locks and unfortunately for Solgaleo GX/Bronzong, it falls victim to the most prominent types of lock about as bad as you can. I don’t see any way for this deck to be viable in the current state of Expanded format, but if some of these problem cards are banned or rotated, it could become viable, and it also could become viable if there is a major meta shift caused in a future shift to make these lock decks obsolete. Seismitoad EX/Decidueye GX was the most hyped new deck to come out of Sun and Moon for the Expanded format when the set was first revealed. The deck was supposed to be a better Seismitoad EX/Crobat PHF deck, but I think in the past couple of weeks players have been backing away from that notion with the general consensus being that Seismitoad EX/Crobat is the superior deck. For comparison, here are some approximations on what you can expect to see in regards to how people are building their lists for the pair of Seismitoad + X decks. This is the list Eric used to make Top 4 at the Arizona Regional Championship all the way back in October. I don’t think too much has changed from Eric’s list since then except that most players are favoring Lugia EX in place of the Dedenne. It also received the Team Skull Grunt option, but that’s probably not worth making room for in the deck. These two decks are similar in the sense that they are Seismitoad EX + Damage Abilities, but they’re actually quite different in how they actually operate and this gives them a different set of favorable/unfavorable matchups. The biggest difference between the two decks is that Seismitoad EX/Crobat is a very disruptive deck, while Seismitoad EX/Decidueye GX isn’t. Lists for Toad/Decidueye GX are much tighter than lists for Crobat variants of Toad. This is because to maximize Decidueye GX you are forced to run Forest of Giant Plants. As your deck doesn’t function until you get that Stadium into play, it becomes necessary to play Trainers’ Mail to make sure you can find your FOGP’s as soon as possible. Decidueye GX variants also typically play a full 4-4-4 evolution line, and more search cards, as the deck doesn’t gain any benefit from getting Dartrix into play like Toad Bats does from getting Golbat into play, thus it becomes a priority to try to fully evolve through Decidueye lines as quickly as possible. You also need to play some Float Stone to deal with the Decidueye line not having free retreat like the Crobat line does. Needing to play these cards to maximize the value you get from your Decidueye GX’s leaves the deck little to no room for cards like Hypnotoxic Laser, Super Scoop Up, Enhanced Hammer, Xerosic, and Team Flare Grunt. You could of course squeeze them into the list, but you would have to make a sacrifice in consistency to do so. It should also go without saying that you can’t play Silent Lab in Decidueye GX variants as you’re forced to use the Stadium slots on Forest of Giant Plants. This can lead to some matchup differences for the decks. While Seismitoad EX/Crobat will typically go positive against Yveltal EX/Maxie’s, whether they get Archeops into play or not, off the strength of the disruption cards in it, Decidueye GX variants are going to struggle if they can’t evolve into Decidueye GX. With Zubat PLS having the Free Flight Ability, Toad Bats has more good starters in the deck that make it easier for you to get into your Seismitoad EX for a turn 1 Quaking Punch. With the Decidueye GX variant, you’re reliant on either starting Seismitoad EX or hitting a Float Stone on your first turn of the game to get into Seismitoad EX for a turn 1 Quaking Punch. You still get the turn 1 Quaking Punch with the Decidueye GX variant most of the time, but you are going to miss much more often than Toad Bats will. From my testing, the Decidueye GX variants typically do a lot more damage throughout a game than the Crobat line. The deck sets up fairly quickly thanks to Forest of Giant Plants, and once you’re setup you’re doing consistent damage throughout the game. Once setup, you no longer have to draw into things, so your damage Ability is less impacted by cards like N as the game goes on as once it’s setup once they’re there. I think a lot of players are underrating how good the stats are on Decidueye GX. Its 240 HP makes it so that most decks are unable to knock it out in one hit, meaning if you work to a late game field of only Decidueye GX’s, you can potentially wall off the game at the end with Decidueye GX’s, using AZ to heal them after your opponent’s attacks. It is also a fairly solid attacker, and can be setup for only two attachments. 90 damage on Razor Leaf is solid, and by the late game you will usually have either 3 or 4 Decidueye GX in play, meaning you will be hitting 150-170 damage, which is very good when you’re opponent is unable to OHKO you. The Grass typing is also very solid, as it gives you positive matchups against Seismitoad EX/Crobat and Zygarde EX/Carbink BREAK. It also can come to your detriment, as Vespiquen/Flareon now hits both your main attacker and damage support for weakness, however that is only one deck and Fire as a whole isn’t popular in Expanded. Both of these decks are very different and the meta games in which each deck can thrive in is going to be different. At Collinsville I would expect most players to opt for Toad Bats over Toad/Decidueye GX as it is a more established deck and it has a better matchup against Yveltal EX/Maxie’s, which just won the last Expanded Regional Championship. I do expect Seismitoad EX/Decidueye GX to have a presence at the tournament, and expect it to probably be Tier 2 in terms of popularity. Ultimately I think that Sun and Moon will have a small impact on the Expanded format. I think the most popular new archetype from the set that will actually see significant play is Seismitoad EX/Decidueye GX, but I can’t see it being much more than 5% of the field, which means most people in Collinsville won’t play against it, and very few if any will reach Day 2. As most of the strong cards from Sun and Moon are evolution based, strong cards like Solgaleo GX don’t really have a place in the Expanded meta as they don’t do a good job dealing with the oppressive evolution and Item locks of the Expanded format. I think like we already saw in Standard format, Tauros GX is the card with the most potential from the set in Expanded, however I expect it to see a lot less play in Expanded as Gallade has a significant presence in the format and having Trainer based Tool Removal makes Tauros GX less of a tank and easier to knock out in one hit. I think maybe 1/5 of decks at the tournament will find room for Tauros GX in some capacity. Outside of that, some niche cards like Oranguru or Team Skull Grunt may find there way into a few lists. Lillie wasn’t super popular in the Standard format, so it probably won’t be very popular in Expanded when there are even stronger Supporter options available. Professor Kukui could change the metagame if it allows some decks to hit some magic numbers they were previously just short of hitting, but I can’t really think about too many instances where that’s the case. I’d love to see Sun and Moon have more of a profound impact than this, but I expect the meta game to be mostly the same as it was at the Expanded Regionals in Philadelphia and San Jose last year. I have a couple of questions / comments. 1. I am questioning why the Rayquaza / Eelektross variant doesn’t see play. It seems like a no brainer, but I absolutely never see it listed as a top deck or even one to consider. I am guessing you don’t like links to competing sites, but I don’t have a good way to upload a deck list, so I guess I am wondering why no love for something like this: http://www.pokebeach.com/forums/threads/rayquaza-ex-eelektross-tauros-gx.138768/. I win with that deck. A lot. Against almost anything. I beat last year’s national champion who was running turbo darkrai in a tournament using that deck. It wasn’t close and he didn’t dead draw. So, I guess I don’t understand why it gets no run. Will we ever get tier lists back on here?